Obituary for Lenon "Traite" Collins, Jr. | Jones Clark Funeral Home, Inc.
Mr. Lenon “Traite” Collins, Jr., age 69, passed from this life on Wednesday, February 6, 2019 at approximately 9:40 p.m. at St. Rita’s Medical Center. He was born on October 16, 1949 in Lima, Ohio to Lenon and Annie Louise (Carthon) Collins, Sr.; both parents preceded him in death. Mr. Collins loved playing cards, he loved to dress up and always looked sharp, he loved his family and never met a stranger. 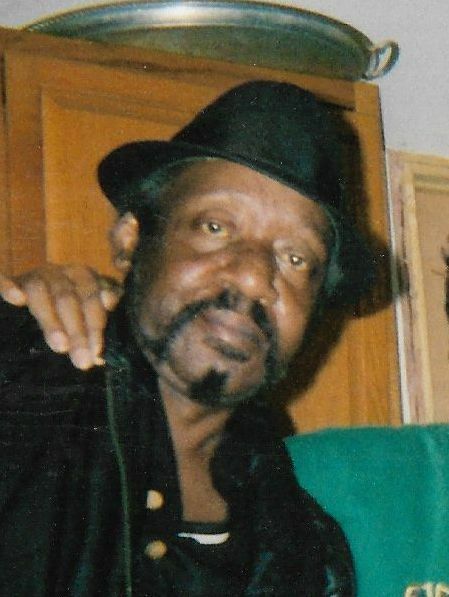 He leaves behind to cherish his memories, 4 brothers; Jerry “Chico” Pinn, Michael Pinn and Rick Collins all of Lima and Pleasure Singleton of Chicago, Ill. 3 sisters; Barbara Bulls (Billy), Martha Pinn and Judy Collins-Bolden all of Lima. A host of nieces, nephews and other relatives and friends. Mr. Collins was preceded in death by a sister: Shirley Pinn-Walker. 2 brothers; James Collins and Thomas A. Pinn and his stepfather Hawthorne Owens. Home going services will be held Tuesday February 12, 2019 at 12:00 noon at the Chapel of Jones-Clark Funeral Home, Inc. with Rev. Julius Laws, officiating. Visitation/Wake will also be held on Tuesday from 10:00am until time of funeral service also at the Funeral Home.